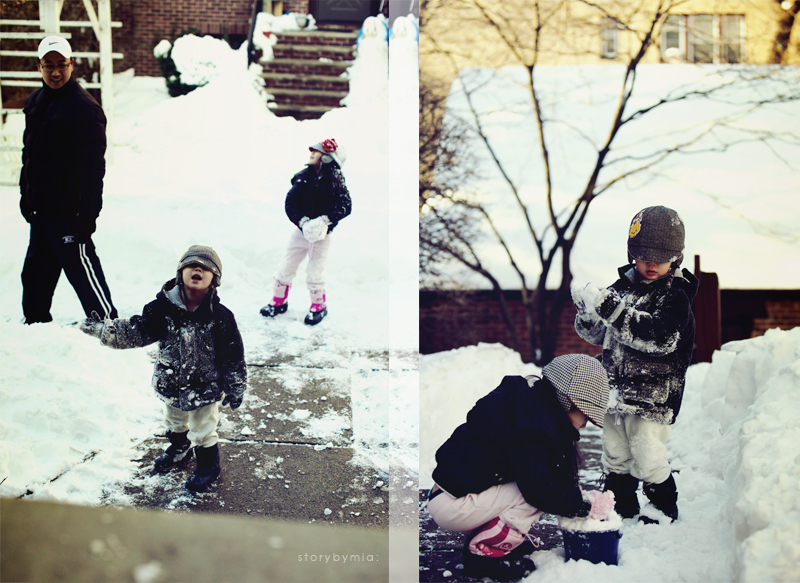 snowed in for couple days and it was getting little bored.... ^^ snow fight + snow angels + snowman. Cold but so much fun. Winter will be long. 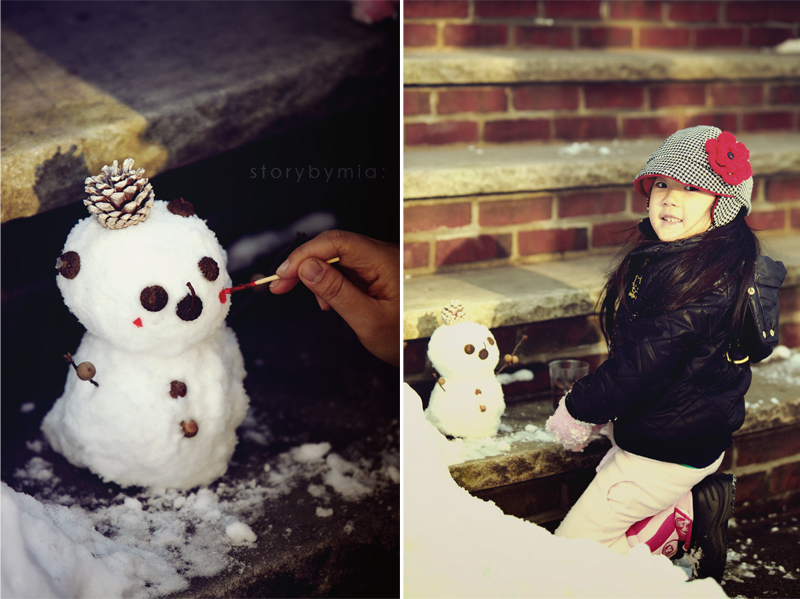 We should get much more creative to survive this looooooong winter with kids.